Amazon Web Services’ Colombian infrastructure location will help train 2,000 students in cloud technology. Last Thursday, Amazon Web Services (AWS), a unit of Amazon.com Inc, announced that it will open a Latin America infrastructure location in Colombia. AWS’ general public sector manager for Latin America, the Caribbean and Canada, Jeffrey Kratz, said in a government statement that the company will work with Colombia’s public technical education institute to train roughly 2,000 students in cloud computing. Colombia is Amazon’s the sixth Latin American edge location and will help deliver data, videos, and applications to end-users at higher speeds. “Kratz, in Bogota for a technology conference, said Amazon wants to support the development of digital infrastructure and help entrepreneurs create large-scale projects. He said the company would continue to invest in Colombia, though he did not provide further details” (Reuters). In addition, last August Amazon announced that it would open its first customer service center in Colombia this year that will employ 600 people. Second-hand fashion startups GoTrendier and Chicfy have merged to create an accumulative clientele of 8 million and a catalog of 12 million products. Go Trendier and Chicfy want to create alternatives to “fast fashion” based on their transactional C2C (consumer to consumer) business model and intend to create the largest marketplace for second-hand clothing in Latin America. Mexican startup GoTrendier launched in 2016 and currently has operations in Mexico, Colombia and Spain. “Following the collaboration, the company plans to expand services to more Latin American countries with users benefiting the most” (Contxto). Chicfy is the leading second-hand fashion marketplace for men, women and children in Spain. As home to a population of nearly 15 million people including half of Brazil’s billionaires and accounting for 18 percent of the country’s GDP, São Paulo is the heart of the Brazilian innovation ecosystem. In addition, the city accounts for 60 percent of startup investments in Brazil and well over 2,000 ventures working on tech-based products and services. The urban problems facing the city create vast opportunities for businesses that are working to solve these problems such as mobility and healthcare. A prime example is the resounding success of mobility startups Yellow and Grin, who achieved exponential growth in the city within a few months. 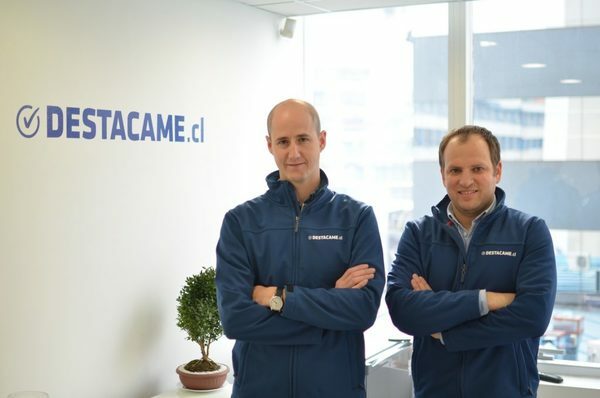 Chilean-based startup Destacame recently closed a $3M series A round of funding, with prominent investors including Fen Ventures, Accion Venture Lab, and Mountain Nazca. Destacame is a personal financial management platform with over 1.3 million users across Chile and Mexico. This new investment round will allow Descatame to scale operations in Mexico, reinforce its position in Chile, and developing its financial products. President Trump has previously issued a threat of closing the border in efforts to halt border crossings by asylum-seekers from Central America. If Mexico does not respond appropriately, however, Trump has threatened to impose auto tariffs, saying it would be a “very powerful incentive”. It takes nearly 2,000 hours per year for a medium-size company in Brazil to make their tax payments: undoubtedly the longest tax payments process in the world. While bureaucracy afflicts Latin America, in Brazil it is one of the main hindrances to the nation’s economic growth. The case of Brazil is especially problematic in that each Brazilian city and state have distinct sets of rules that shift regularly. Over the past few years, Brazil has made progress in reducing red tape, however the business environment still remains somewhat hostile to companies. According to Gleisson Rubin, adjunct secretary of debureaucratization, roughly 1,200 processes have been digitized in the past few years and the Brazilian government hopes for another 1,000 by end-2020. 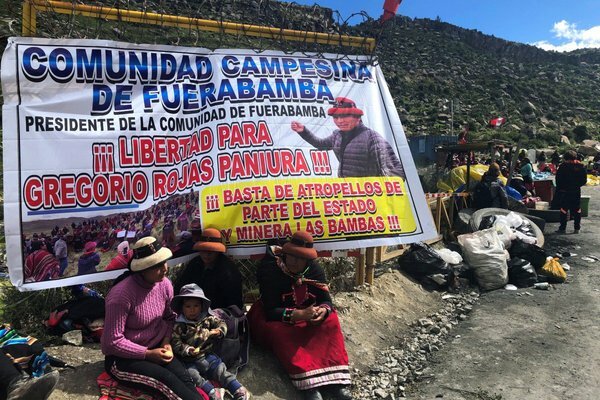 On Friday, Peruvian police released Gregorio Rojas, president of the Quechua-speaking community Fuerabamba who had been blocking roads to a major Chinese copper mine. Fuerabamba villagers cut off access to Chinese miner MMG Ltd’s copper mine Las Bambas in efforts to stop its exports. The Fuerabamba community was relocated earlier this decade to a new town in order to make room for Las Bambas. MMG claims it has spent hundreds of millions of dollars on the relocation plan after close collaboration with Fuerabamba villagers. Police accused Rojas of belonging to a criminal organization that was trying to extort Chinese miner MMG. Rojas was freed in the capital Lima without charge a week later. However, news of Rojas’ release failed to suppress a protest by Fuerabamba villagers in Challhuahuacho. The Peruvian government declared an emergency on Friday, giving military authorization to restore order. While a few years ago, Guatemala was making historic strides in the fight against corruption and human rights abuses, a “pact of the corrupt” in the country’s ruling elite continues to push legislation that would terminate trials and investigations for war crimes and corruption. Surprisngly enough, Guatemala has surpassed Mexico as the number-one country of origin of undocumented migrants being arrested at the U.S.-Mexico border. In this podcast, Adam Isacson discusses the situation with WOLA Senior Fellow Jo-Marie Burt, who recently returned from one of her frequent visits to Guatemala.